Casella Construction is a leading Northeast civil and heavy highway contractor with a staff of almost 200 multi-disciplinary employees supported by experts in construction, demolition, transportation, aggregate, project management, and safety. We believe the key to continued growth and success is our ability to hire and support the best team in the industry. Motivated to complete challenging projects to the highest standards, our team shares an unwavering commitment to professionalism, integrity, and safety. We are currently searching for a full-time, well-rounded IT Specialist to be based in our Pittsford, Vermont location. The ideal candidate will have real world experience in either a help desk or network administration position, an excellent understanding of Windows workstation and server operating systems, application installation and troubleshooting, Active Directory administration and management, and various cloud technologies (e.g. hosted server, e-mail, PBX/VoIP, etc.). The successful candidate will be a driven self-starter and an outcome-oriented people person. The ability to work in a fast-paced environment with strong attention to detail is essential. User account management – add/edit/disable accounts, setup new application users, etc. Salary depends on skills and experience. Family-owned and family-friendly, Casella Construction offers full-time employees comprehensive benefit options including health, dental, short term disability, long term disability, Aflac supplemental insurance, and 401k with company match. Visit www.casellainc.com/working-here to apply, or submit a cover letter and resume via email to jobs@casellainc.com. Due to the anticipated volume of responses, only those candidates who most closely match our requirements will be contacted. Only local candidates within reasonable commuting distance to our Pittsford, Vermont location will be considered. Casella Construction is an is an equal opportunity employer. We celebrate diversity and are committed to creating an inclusive environment for all employees. To learn more, visit www.casellainc.com. Casella Construction Inc is a leader among New England construction companies specializing in site development, heavy highway, environmental, demolition, utilities, aggregate, and transportation. 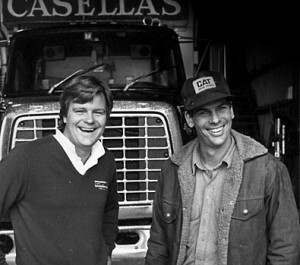 Founded in 1987, Casella Construction is family owned and operated. 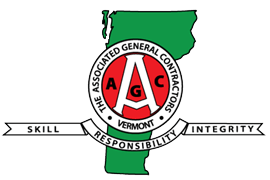 The company has grown consistently and currently has over 100 year-round employees and an additional 50 seasonal employees. We own a large fleet of heavy equipment along with a number of tractors and trailers supporting our transportation division. From the beginning, safety, reliability integrity, predictability, dedication, quality, and innovation are all characteristics that Casella Construction strives to be known for every day. To apply for this job please visit www.casellainc.com. We believe in rewarding our employees for their hard work and commitment to continued success. Come together as one team as you serve the community you love. We create opportunities for our team and foster economic development everywhere we operate, every day. I learned how to communicate over radios, lay pipe and various other jobs. The most enjoyable part of the job is learning new things. The management is very understanding and they work with you to help you learn more about things that are new to you. Casella Construction treats you as one of their own even when you're new. If you're looking for a long term career and are willing to put in the time and effort to learn and grow, this company is a great place to do so! Working construction for Casella is more than enjoyable. They are really decent people that will teach you anything you want to know about equipment operating. It's tons of work, and does require some travel but they'll give you all the hours you want. Good company to work for... Good co-workers and managers... Learned a lot about the construction trades while I was working for Casella... Overall, I have been very satisfied with my experience working here.